With traffic congestion on the rise on Southern California’s freeways, this makes it inevitable that car accident rates will be on the rise as well. However, this increase in congestion and traffic collision rates in Southern California can be particularly devastating for motorcyclists, as the exposed nature of riding a motorcycle means that these accidents tend to cause more severe injuries. Unfortunately, increased congestion on the road can make it more difficult for cars to see motorcyclists who may be obscured by other vehicles. Additionally, since motorcyclists often split lanes during traffic, these facts combined means that motorcyclists are particularly likely to be involved in an accident on Southern California’s highways. 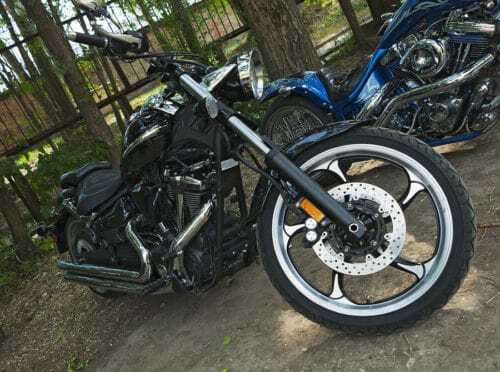 As a motorcyclist, you may be wondering what you should do if you are injured in a motorcycle accident, and how fault will be determined if you believe that the other party is responsible. To help you be better prepared in the event of an accident, here are a few of the steps you should take after being involved in a motorcycle accident in Southern California. After being involved in an accident, your first step will be to assess your injuries. If you can move, you will want to call 911 immediately to dispatch emergency medical attention; this will also bring a police officer to the scene who will take a report of the accident. If possible, you will also want to get out of the roadway and to a safe area—such as the emergency lane—to prevent further injury. If you don’t think that you can make it to the side of the road on your own, try to make yourself visible to other drivers and wait until help arrives. Once out of harm’s way, refrain from moving as much as possible until you reach the hospital, as riding a motorcycle leaves you susceptible to sustaining head injuries as well as internal injuries. If you are able, you will also want to gather as much information about the accident, and the other driver, as possible. If your phone survived the crash, you can use this to document information such as the other driver’s name, address, phone number, insurance information, license number, as well as their license plate number. While waiting for help to arrive you can also document what you remember of the accident, and you can take pictures of the damage. If you cannot document this information yourself, you can ask the police to document it and supply you with a copy of their report. Once you have left the scene of the accident and are in stable condition, you will next need to begin the process of filing a personal injury claim. Unfortunately, even if it is clear to you that the other driver is at fault for the accident and should then be financially responsible for your injuries as well as for any damage sustained to your motorcycle, you will still have to prove fault to the authorities, your insurance company, and potentially a judge if the other driver does not admit fault. If you are wondering how liability is determined with California motorcycle accidents, here is a quick overview of what you need to know. Police Reports Can be Vital: Police reports are often key in determining fault in automobile accidents. Since officers are experienced at analyzing the scene of an accident, insurance companies and courts often rely on their opinion when determining liability. They will look at the vehicles, the injuries, and interview the drivers. They will use this information to make an assessment of the situation. However, it is important to remember that police officers are human and can make mistakes. It is then important not to despair if an officer finds you at fault for the accident, as you may still be able to prove the other driver’s fault. Eyewitness Accounts Are Also Important: Another essential tool in determining fault are statements made by third-party witnesses either to the police at the scene of the accident, or at a later time to a personal injury attorney. An eyewitness will be able to attest to right-of-way, and they will be able to comment on any erratic or unsafe driving exhibited by the other driver. This makes it critical that drivers stop if they see an accident take place, as they could be instrumental in proving fault to the accident. If any eyewitnesses stop at the scene of an accident you are involved in, make sure to get their information in case you need them to make a statement at a later time. Remember That Lane Splitting is Legal in California: If you were lane splitting at the time of the accident, you may be worried that you are automatically at fault for the accident, or that the other driver will try to use this fact against you. However, what many California drivers are unaware of is that lane splitting is legal in California. Not only has lane splitting never technically been illegal in California, but Assembly Bill No. 51 signed in to law in 2016 went on to define lane splitting and make provisions so that the California Highway Patrol could put out safety standards for lane splitting, which essentially reaffirms the legality of the practice. This means that lane splitting will not automatically make you liable, and if you have eyewitness accounts to the fact that you were not driving recklessly at the time of the accident, then you may be able to prove the other driver’s fault. Contact a Personal Injury Attorney: Ultimately, proving fault after being involved in a motorcycle accident, and reaching a settlement, can be a long and complex process. This makes it imperative that you consult an experienced personal injury attorney as soon as possible after being injured in an accident in order to get this process started. An attorney can help you to determine your best course of action, and they can be instrumental in helping you to determine fault and liability. Contact Aitken*Aitken*Cohn at 866-434-1424 to learn about how you could benefit from consulting a personal injury attorney after being injured in a motorcycle accident in Southern California. Our experienced attorneys serve Orange County as well as the greater Inland Empire, and we can help you to determine what your next steps should be as you recover from your motorcycle accident.